Great Houses, or Plantation Houses, were built at a time when sugar cane made Jamaica the wealthiest English colony in the West Indies. The architecture was heavily influenced by the Georgian styles of Europe, with the natural island conditions dictating a distinctly Creole character. Locally quarried stone and termite-resistant tropical hardwoods were widely used, whereas bricks, which arrived as ballast of ships, were used sparingly. These houses are today, arguably the most prominent and tangible remaining symbol of the plantation era. 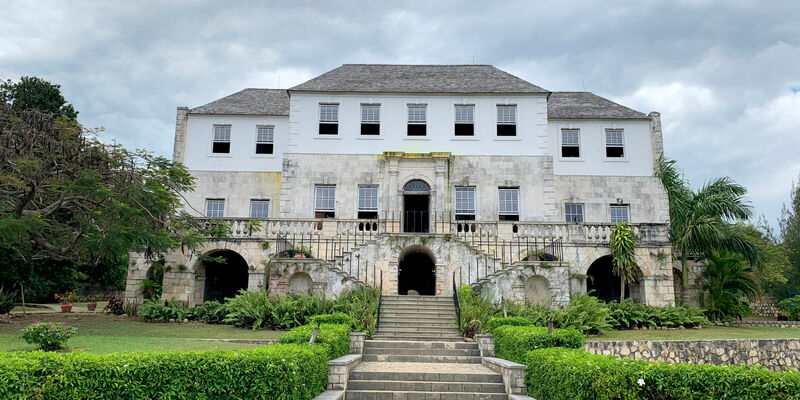 The Jamaica National Heritage Trust has declared several of them National Monuments, as they serve to highlight the importance of the plantation era. Traditionally, the great house was the crown jewel of a country estate. Typically an impressive two-story structure made of stone and wood. These estates were often sugar plantations, since sugar was the economic driver of Jamaica’s colonial period. Part of the great house heritage is a legacy of slavery, which gives these estates an extra measure of poignant history. Of the 700 or so Great Houses that were on the island, only a few exists today. Most were destroyed in the Slave Rebellion of 1831 that led to English Parliament passing the Emancipation Act 1833, which became law in 1834. Good judge of the success of the owner or the plantation. Home of planters, or attorneys, who acted for the absentee owner. The size of the house was a good judge of the success of the owner or the plantation. The architectural style generally reflected that of the owners former place of residence, which in many instances was England. Few buildings remain from Jamaica’s pre-Columbian era, when buildings were made from wood and other local materials. The Georgian Period (1720-1760) inspired the designs after the English colonized the island and from this era, the Jamaican Georgian (1760-1830) evolved. 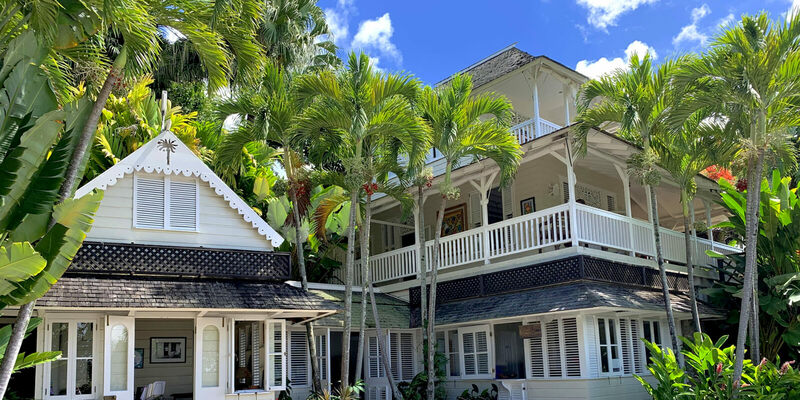 British contemporary architecture was adapted to the tropics with features such as wide wrap-around verandas, jalousies, and sash windows to accommodate the Caribbean climate. The Great House plan followed two main types: the simple block plan, with the hall and staircase in the center, and the central block with wings. A flight of stone steps, with iron balustrades, on which in their heyday ran beautiful twining or creeping plants, led to front doors that opened into a spacious hall. This large hall is characteristic of all Jamaica houses; it forms the principal sitting room; and, from its design, allows the cooling breeze to sweep through. Other than the bedrooms, the entire sides and ends of the hall were either occupied by window or jalousies, a blind or shutter made of a row of angled slats, allowing breeze while cutting the glare of light. The flooring was made of the most beautiful of the native woods; mahogany, green-heart, bread nut, and blood-heart. Hardiness was an important requirement, as well as the capability of receiving a high polish, obtained with great labor. 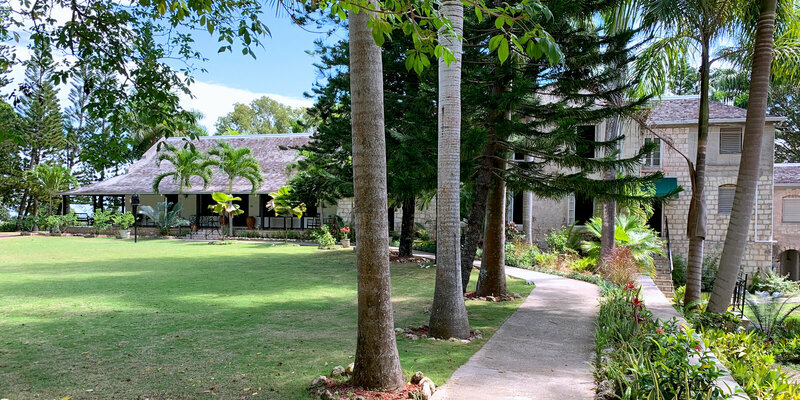 The Cherry Gardens estate was originally a sugar plantation owned by Colonel Ezekiel Gomersall. After Gomersall's death the property was passed into the hands of his second wife and nephew Ezekiel Dickinson. For many years the Dickinson family owned the property. After emancipation the property was administered by Joseph Gordon who came to Jamaica from Scotland as an attorney for a number of absentee owned sugar estates and later purchased several of them. He was the father of George William Gordon, National Hero of Jamaica. 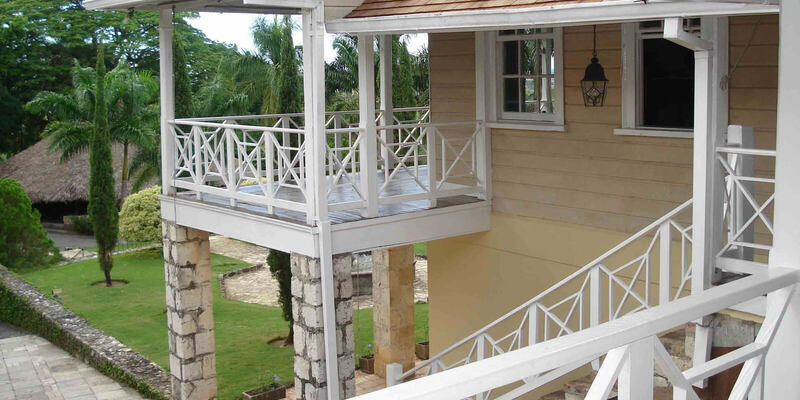 The Cherry Gardens Great House has links to two prominent figures in the history of Jamaica and North America. In addition to being the home of George William Gordon, a national hero, after emancipation, it was also associated Jonathan Dickinson -- brother-in-law of Colonel Ezekiel Gomersall -- who became an influencial business man based in Port Royal, and eventually a politician and a two time mayor of Philadelphia, Pennsylvania. Jonathan has a storied history including being shipwrecked and captured by Indians on his way from Port Royal to Philadelphia. Cinnamon Hill Great House, located in the hills above the Rose Hall Great House, is beautful, warm and charming in a setting of large lush trees casting cool shadows from the hot tropical sun. It was the home of Johnny Cash for about 30 years, until his death. Samuel Barrett (Jr.) started building the house in the 18th century but died before it was finished. The building was completed by his fourth son, Edward Barrett in 1784, who became one of Jamaica’s wealthiest and most influential planters. It was his generation of Barretts and their children that played a significant role in the birth of Falmouth, the capital town of the parish of Trelawny. It is also from this family lineage that the famous poet, Elizabeth Barrett Browning (1806-1861) sprung. The Greenwood Great House also belonged to the Barrett family. Devon House is not technically great house, since it was never a part of a plantation. 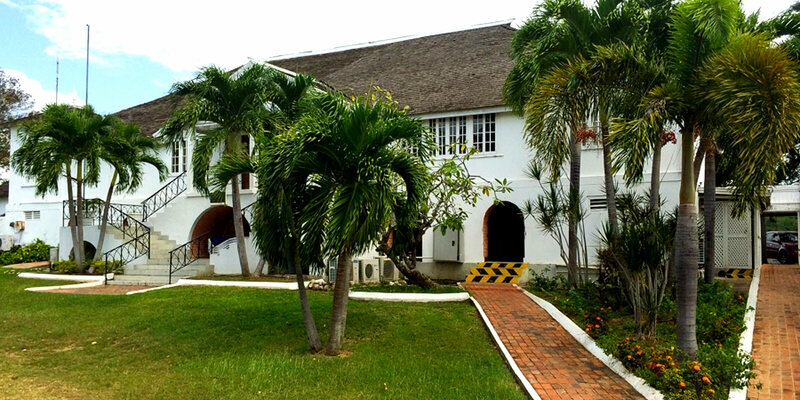 The House however, is magnificent house, and is designated by the Jamaican Government as a heritage site. The land on which it is built, Devon Penn, belonged to the Anglican church and was awarded to Rev. John Zellers in May 1667 by King Charles II. A rectory was built on it by the St Andrew Parish Church, and was occupied for the next 128 years by church's Rectors. The Rectory was sold in 1881 to George Stiebel, the builder of the Devon House. George Stiebel who was born to a German Jew and a Jamaican housekeeper in the 1820s, worked in the Venezuelan gold mines. He eventually purchased a gold mine that made him very wealthy. He became Jamaica’s first black millionaire and moved back to Jamaica after the death od his son where he bought several properties. He commissioned Charles P. Lazarus to build Devon House in 1881. He was one of three millionaires to construct lavish homes at the corners of Trafalgar Road and Hope Road, which became known as Millionaire’s Corner. Rich in history, folk lore and mystery, Rose Hall Great House is the most popular of the Great Houses. The house was built from 1778 to 1790 by John Palmer, a wealthy British planter. At its peak, it was 6,521 plantation, with more than 2,000 slaves. However, it was Annie Palmer, wife of the builder's grandnephew, who became the focal point of fiction and fact. Called "Infamous Annie," she was said to have dabbled in witchcraft. It is most known for its legend of Annie Palmer, also known as the White Witch of Rose Hall, a young beauty who came to Rose Hall in 1810 to marry John Palmer. Over the next 20 years, she poisoned him and her subsequent two husbands. She then dispatched one slave lover after another until she was murdered by rebellious slaves in 1831. The house is open every day for tours, including spooky, candlelit tours at night. Greenwood Great House sits high on a hill with sweeping views of the Caribbean sea. Built in the 1790s by Elizabeth Barrett Browning's cousin, the enormously wealthy Richard Barrett, Greenwood was one of four great houses owned by the Barrett family and was erected solely for extravagant entertaining. In 1655 Hersey Barrett, an officer in the expedition commanded by Admiral Penn and General Venables, to capture Hispaniola from the Spanish. It proved to be too strongly held so they took the easier prize of Jamaica instead. Hersey Barrett was granted lands in Jamaica and settled on the island. 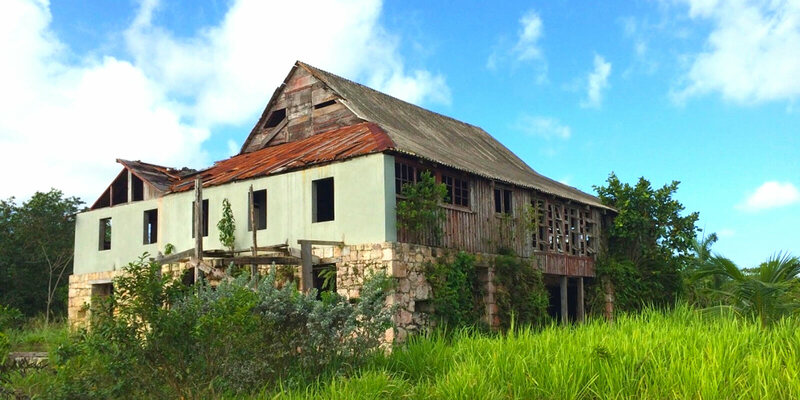 Built in 1775, Good Hope was a sugar estate that grew into a village to support the workers after emancipation. 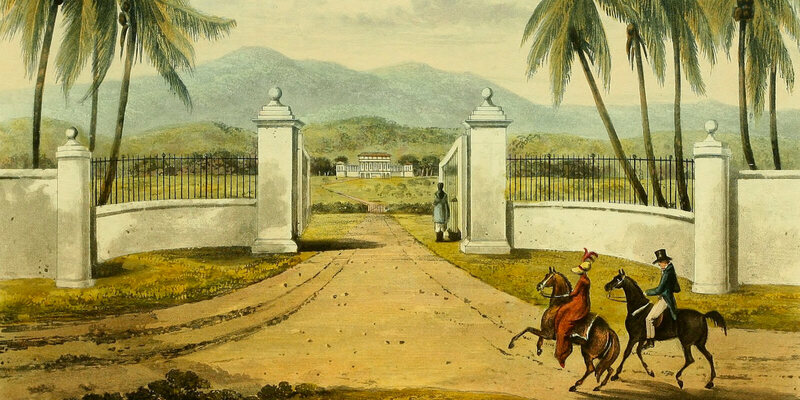 The Good Hope Estate belonged to John Tharpe, then the largest land and slave owner, approximately 3,000, in Jamaica. 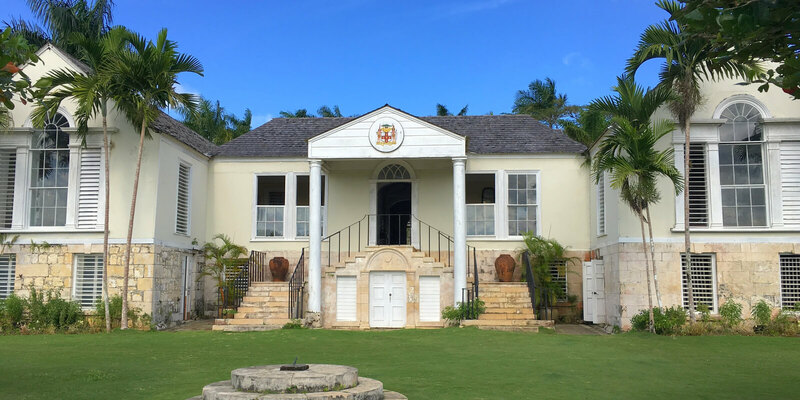 In addition, he owned much of the prime waterfront property in Falmouth, and his townhouse, now the Falmouth branch of the government tax office, is still one of the most elegant structures in the town. Good Hope was the hub for the Parish of Trelawny. It was here that all planters met to discuss the economy of the sugar industry and other pressing matters, primarily because John Tharpe and his sons owned more estates than any other in the Parish. 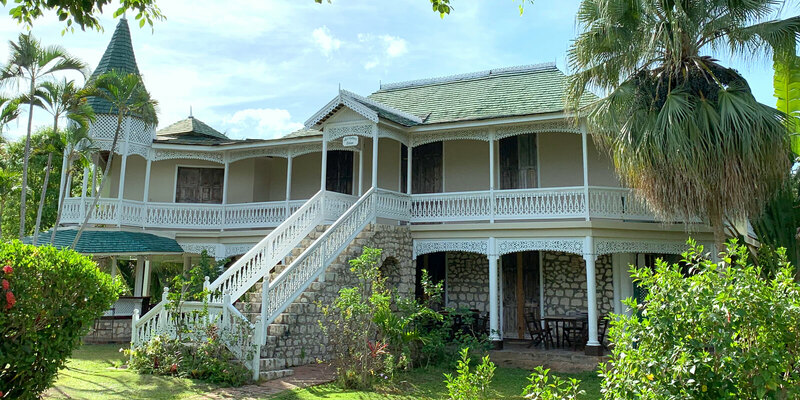 A relatively young property dating back to the late nineteenth century, the Harmony Hall House is a beautiful representation of the Jamaican-Georgian architectural style. The lattice and fretwork presents a fairy tale appearance to the building. 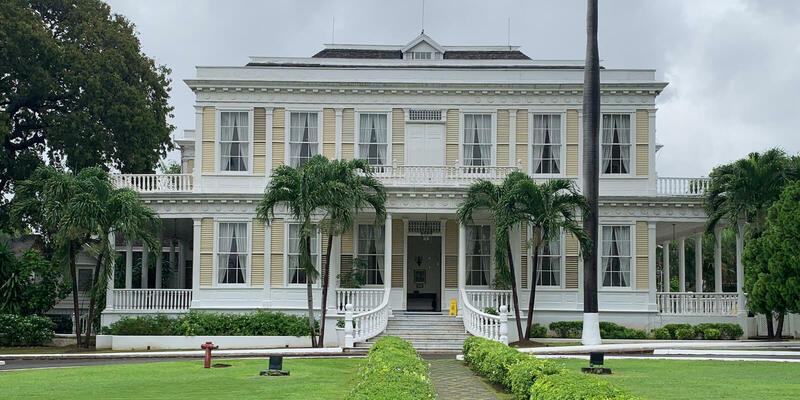 Built in the late 1850s, it was the estate house of a small pimento plantation. The estate later rotated the crop to bananas in 1910 and coconuts in 1938. 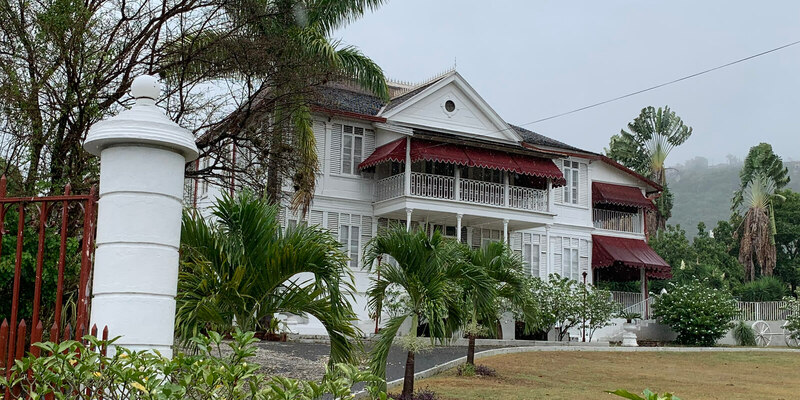 The house became the manse of the Methodist church, and home of Sir Hugh Sherlock when he served on the Methodist Ocho Rios circuit from 1937–1940. Sir Hugh Sherlock wrote the lyrics of the National Anthem, Jamaica, Land We Love, when Jamaica gained its indepence from England in 1962. The house was sold in 1980 and became the Harmony Hall Art Gallery and the home of the famous and excellent Toscaninis restaurant. 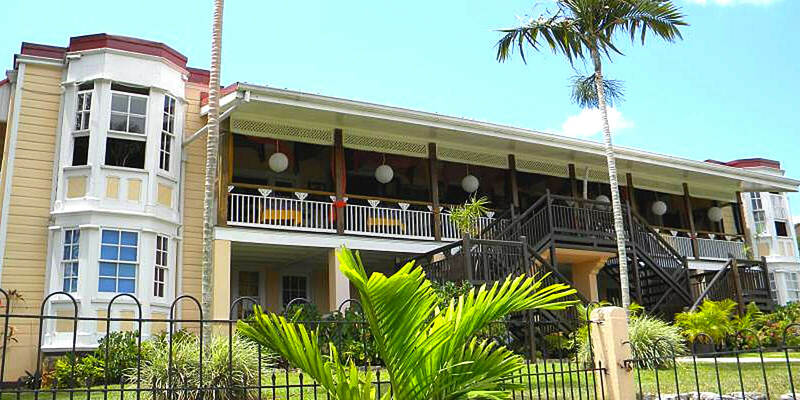 The Harmony Hall House was declared a national monument by the Jamaica National Heritage Trust on April 3, 2003. The land was originally an Arawak settlement and Barnes Hill was the site of an ancient Arawak burial ground. Spanish colonists who arrived in the 15th and 16th centuries wiped out the Arawak population through disease until they in turn were fought off the island by the English in 1655. 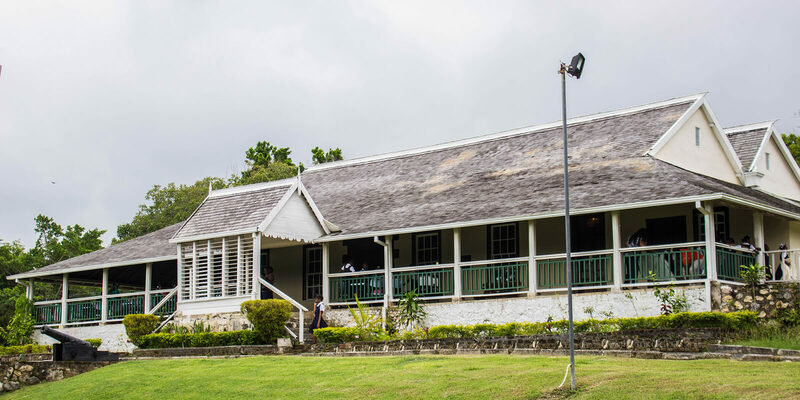 Originally a sugar plantation, the estate became a coconut plantation and is now a Country Club and Guest House. 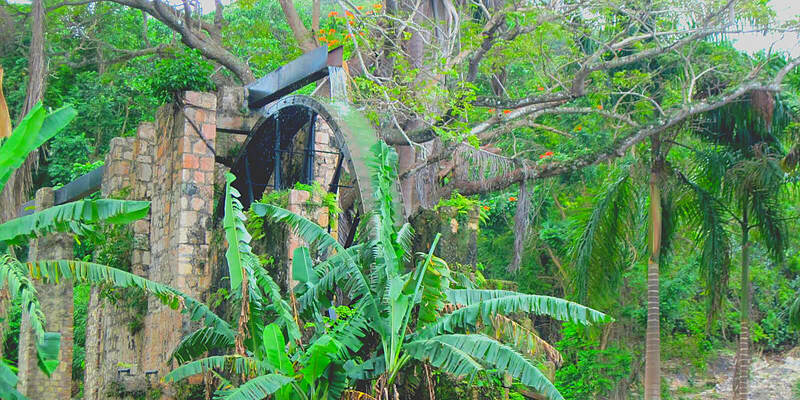 It is home of a 200-year-old water wheel, which is currently the only functioning water wheel to be found in Jamaica. It was originally used to power the crushing process of the sugar cane. It was destroyed during the slave revolt in 1831, but thankfully rebuilt in the 1950s. 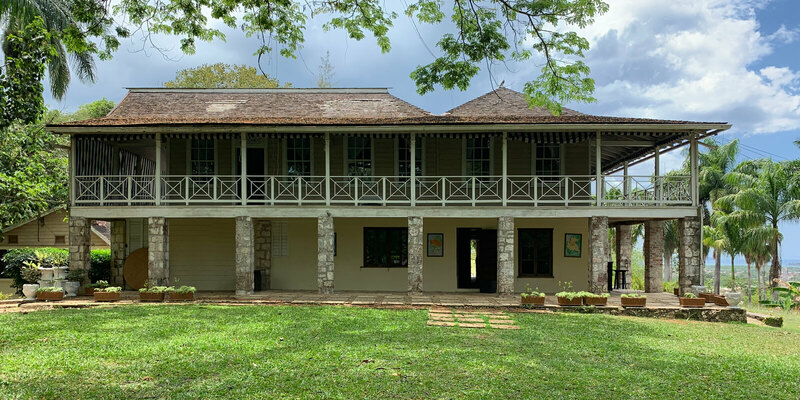 Bellefield Great House is located on the estate of one of the oldest sugar plantations in Jamaica. 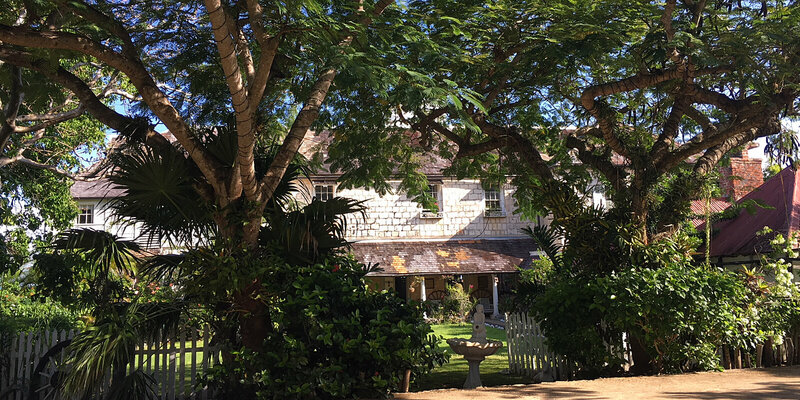 Built in the 1600s as a militia outpost, the property houses a Sugar Mill built in 1794 from cut stone directly shipped from England on ships destined for Jamaica, intending on returing with cargo of sugar and rum. Green Park Estate, near Falmouth, is one of the oldest plantations in Trelawny and dates back to shortly after the English Conquest of Jamaica in 1655, when Oliver Cromwell, first granted land to James Bradshaw, son or nephew of John Bradshaw (1602-1659), one of the Regicides who signed the Death Warrant of King Charles I. Adjoining lands were granted to the Barrett family by King Charles II in 1660. Several Royal land grants and commercial resales resulted in the Barrett family's land holding increasing to include Green Pond, a total of 742 acres. The Barrett's later sold the lands in 1759 to James Peterkin who then resold it in 1761 to two Kingston Merchants named John Kennion and Thomas Southworth. During this time, two Great houses had been built on the property. Evidence of the masonry walls of the second Great House can still be seen under the east wing of the present Great House. It was Southworth who changed the name to Green Park and shortly after he began to transform the property from a Cattle Estate into a Sugar Plantation. The present Green Park Great House was begun in 1764 by Thomas Southworth, but he died before it was completed. The house was subsequently finished and enlarged by Southworth’s heir, another Kingston Merchant, William Atherton who moved to Green Park Estate in Trelawny in 1768 where he resided in the unfinished 18th Century Georgian two-storey square cut-stone house. He completed the house between 1768 and 1769. The ground floor was constructed out cut stone and the second story of wood. The verandah was enclosed with alternating sash windows and louvers, which allowed the cool breezes to flow through. At the front of the building are two marble plaques. One says, “Green Park Plantation Manor” and the other says, “Built in 1764 by William Atherton. His heirs were the subsequent owners of the property until 1910. Bloomfield Great House is situated on a property formerly known as the Bloomfield Estate, which precedes the formation of the parish of Manchester. The property passed through many phases of development being operated in the past as a coffee plantation, a citrus plantation, a cattle rearing farm and a dairy. The estate began under Spanish rule and was given as a reward to Major Thomas Halse, who renamed it Halse Hall, when the English won the island from the Spanish in 1655. He built his great house in 1680 on the foundation of the Spanish hacienda, which sported a magnificent view of the 436-meter tall Mocho Mountains. He built his house like a fortress with thick walls. Security was further strengthened with British troops stationed at all four corners. The house served as the centre of his estate and a rallying point for defence. When Thomas Halse died in 1702, the Great House was still a single storey building. It became a more imposing and beautiful two-storey structure in an era of security and prosperity during the late 1740s. The estate was then owned by Francis Saddler Halse. An elaborate arrangement of stone steps ascended to the new entrance, which was flanked by columns and capped with a fanlight. The peaked portico was added later to conform to a popular architectural style. Seville Great house is symbolic of the English period. After the capture of the island in 1655, New Seville was abandoned by the Spaniards. The English divided up and allotted the land to victorious officers and other soldiers. In this allotment, the city of New Seville became the property of Captain Hemmings, an officer of the army, thus becoming Seville Estate. The house originally consisted of two storeys. The top storey was, however, destroyed in a hurricane around 1898, and was never replaced. The structure is of wattle and daub construction with timber floors and English tiling. The doors of the building are of solid raised panel mahogany. The windows are predominantly sashed, with later modifications, including jalousies. The interior of the house has mahogany arches, which separates the living and dining rooms. There is veranda, enclosed by a set of square wooden columns, along the entire northern end of the building. It was designed to provide adequate ventilation and sunlight, as well as privacy. The roof finish is of cedar shingles. This site is now operated as a heritage attraction.